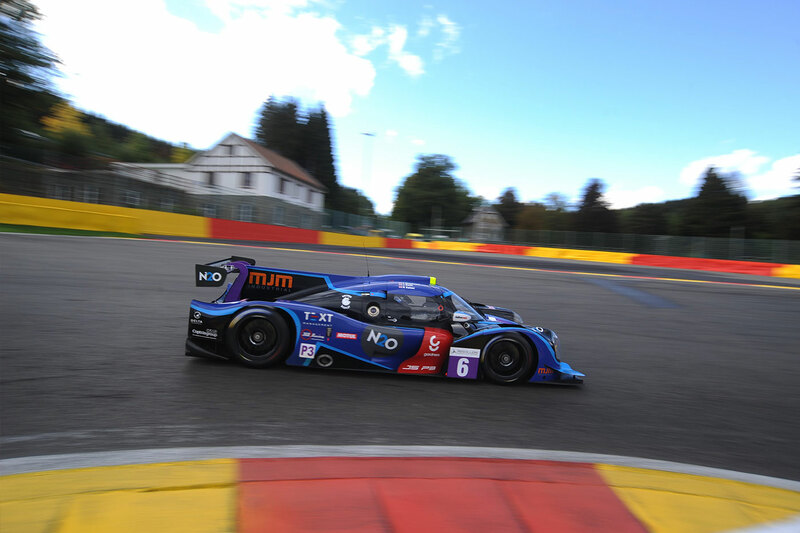 Notorious for its climate, the Spa Francorchamps Circuit in Belgium once again turned wet and caused the latest ELMS race to be abandoned only halfway through its four hour duration. The rain had been unrelenting throughout the morning of the race, but it still got underway as planned. “The race started behind the safety car, but we decided I would start the race as there was only the two of us,” Kaiser said. Team Principal Terrence Woodward would have probably started in the dry, and done an hour before changing, but the weather dictated otherwise. When the green flag was waved Kaiser initially retained third, behind Lahaye’s Ultimate Norma and Drudi’s Euro international Ligier, before United Autosport’s Van Uitert came flying through to lead by lap seven. “We were all running in a line and had caught Lahaye, before he put it in the wall at Pif Paf, putting me back into third,” said Kaiser. He continued to run a solid third until electing to take an early stop. “We thought we would get a compulsory stop out of the way and stand us in good stead for later,” he added. Standing water had formed at Eau Rouge which made the Kemmel Straight even more treacherous,” and there was ariver across the track at Les Combes and it became hard to stay on even behind the safety car,” Kaiser added. Having made a stop early on, he made a second whilst behind the safety car but from lap 20 he was back in the top six. 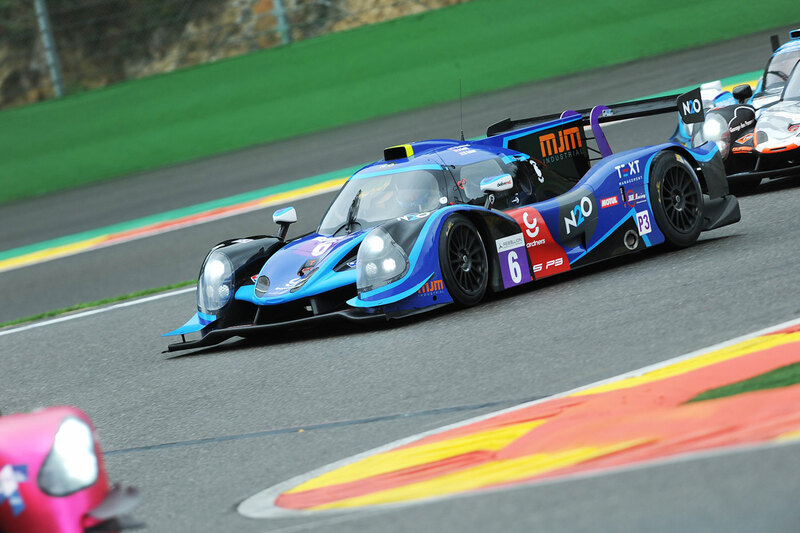 Then it was fourth and on lap 25 he ousted Millara’s YMR Ligier for third.“The conditions had deteriorated so much again I could hardly see at all, and I knew the two-hour mark must have been approaching and I was concerned at over driving my maximum allowed time in the car. But I couldn’t contact the team as rain had got into the radio and it stopped working,” he said. Woodward was on standby in the pit lane in case he was needed. The race was finally red flagged at two hours, with only half of the race run. “We were held on the grid for 15 minutes and then the result was declared as there had been no improvement at all. It was definitely the right decision,” he concluded. 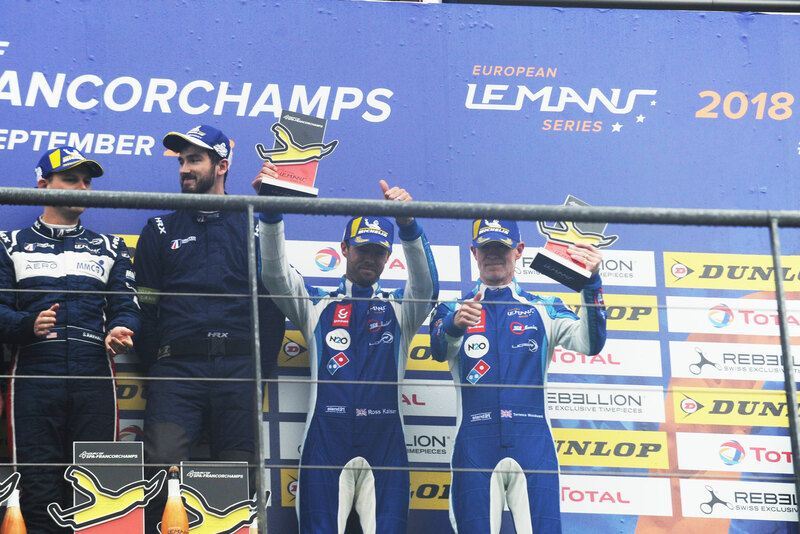 With one round to go at Portimao, the 360 team are second in the LMP3 Championship, 14 points off the title leaders.